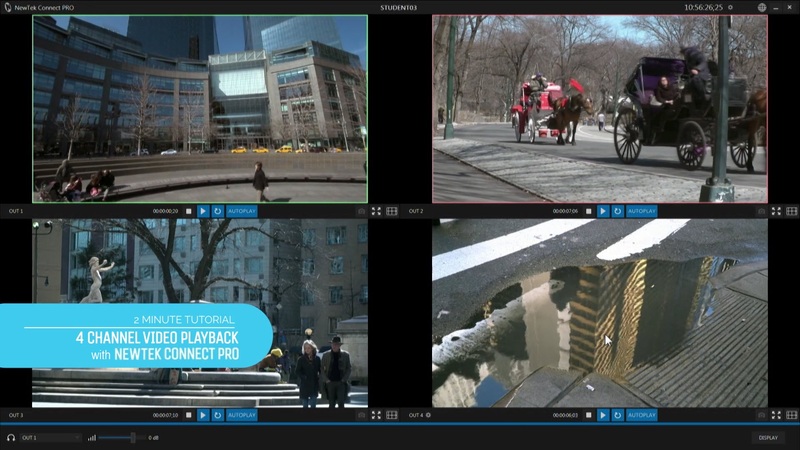 Another trick that TriCaster™ Advanced Edition and NewTek™ Connect Pro have up their sleeves is the ability to automatically play a set of videos in synchronization. 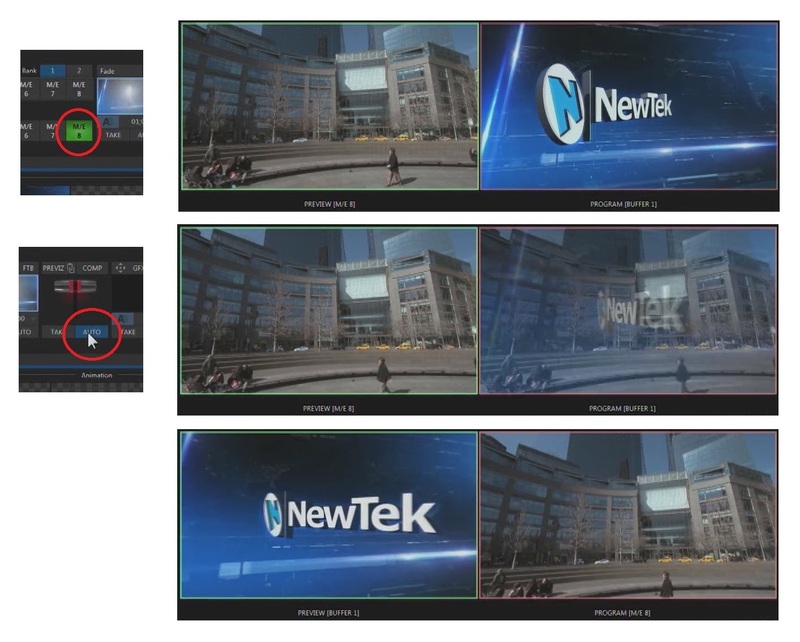 For this tutorial, the NewTek Connect Pro operator would have four videos loaded, as we learned how to do here. If you have already been working for a while with four videos loaded, and perhaps even playing them, then you may want to stop playback and reset them to their starting points. For this, just tap the Stop button twice on the video controls in the monitor for each video - the first tap stops the video, the second sets the video back to its in-point. Turn on AutoPlay for each of the monitors, as well. 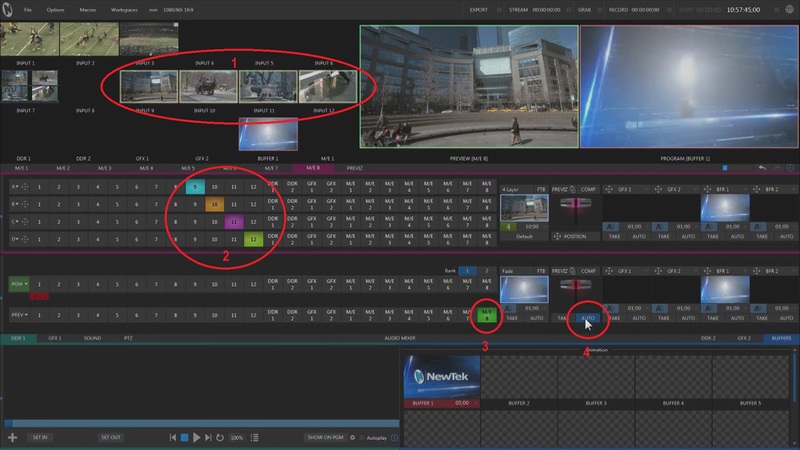 The next steps are in the TriCaster Advanced Edition UI. 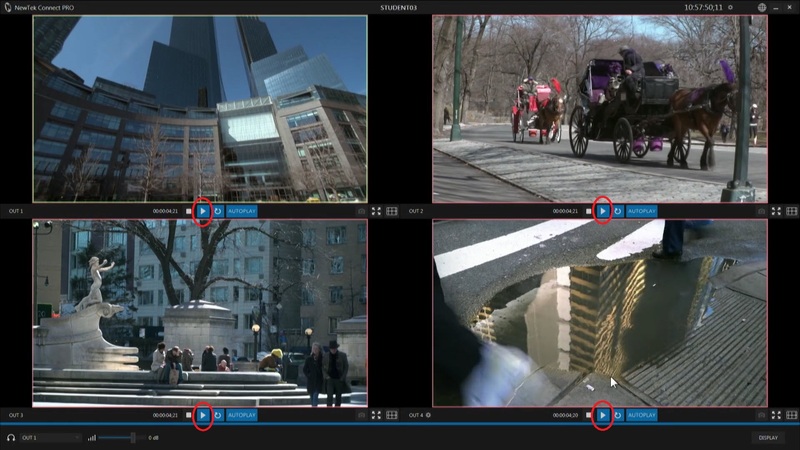 In the video, you will see that the TriCaster operator has set up the four videos on inputs 9 through 12 (again, as we learned here), as circled and labeled “1” in our UI shot. Next, the operator would open a Mix/Effects bus (M/E), in the video we see that M/E 8 is used, and assign one of these inputs on each bus row, per “2”. Circled items “3” and “4” control the action. Now the operator selects M/E 8 on the Preview bus (“3” in the previous image), and then clicks on Auto (“4” in the previous image) to transition Preview to Program; TriCaster sends this information to NewTek Connect Pro, and the application immediately starts all four videos playing. In the image at right we see that all four videos are playing, indicated by the blue-for-active Play button on the controls. The videos will continue to play back until M/E 8 is transitioned off of Program Output. A sports program might use this capability this way: the videos could be four views of the same play highlight. As they play in sync, the operator can switch between views to change the angle at important moments without a jarring time jump. 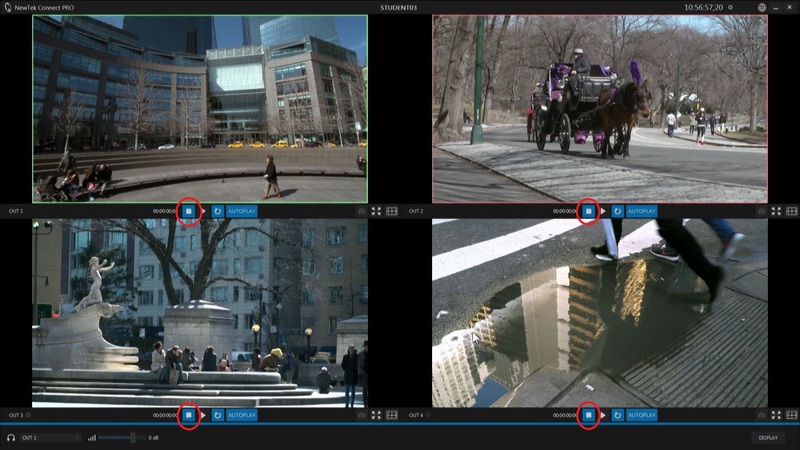 Another option would be to put all four views up at once in a quad-view, for simultaneous multiple perspectives on the action. 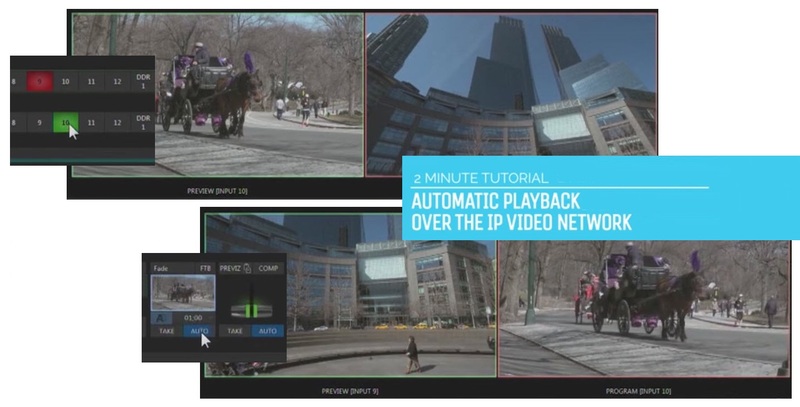 This ability could also be used to drive a video wall or a multiple monitor setup with synchronized content, or with looping content, either synchronized or not, depending on the length of each of the videos playing in NewTek Connect Pro’s outputs.